Written by Carson Ting. Posted on July 19, 2017. Filed under video. Tagged commissioned art, painting. Comments Off on Dream Machine 100″ x 50″ Day 3 progress. Day 3 progress. Short Hyperlapse progress video from today’s work at the studio. Completed all the white areas. Logged 8 hours at the studio today. Dream Machine 100" x 50" Day 3 progress from Chairman Ting on Vimeo. Written by Carson Ting. Posted on January 20, 2012. Filed under Drawings, Blogging. Tagged #ShareDDB, art charity, company policy, painting. Comments Off on ShareDDB’s Charity Art Auction. We are proud to have helped raise funds for the James Lee Foundation and the Covenant House by performing a live painting in collaboration with Mike Nowland of Company Policy. Our piece was done in 30 minutes with spray paint, markers and acrylic paint. This year’s auction benefits the James Lee Foundation, giving grants to youth with creative aspirations, and Covenant House, an organization helping street youth on their way to better lives. 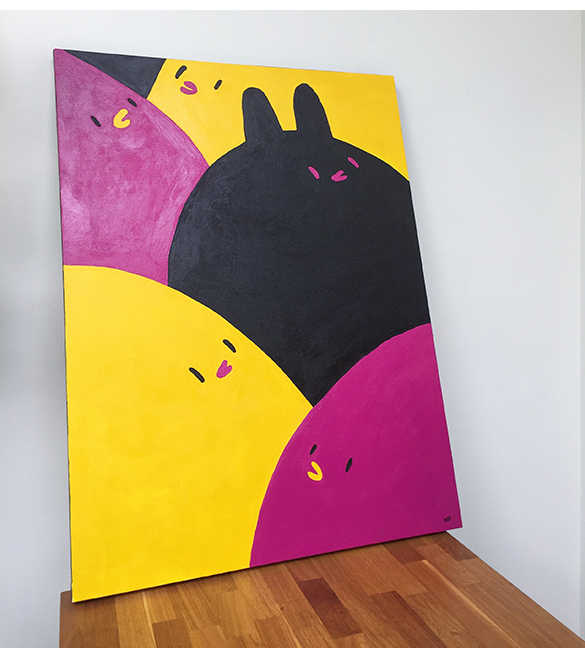 Big thanks to Kumiko Ide for successfully bidding on our piece. We would also like to thank Edwin Cheng of Osler Zoo Photography for shooting the video for us.